Each vendor warrants its commercial refrigeration and cooking equipment. Warranty periods vary by manufacturer. Our vendors have established a service network to provide you with a response. For the best contact information and service response, please contact our Equipment Supply Specialists. Get the model and serial numbers found on the sticker inside each unit. Have your business contact information ready for scheduling service and/or parts delivery. 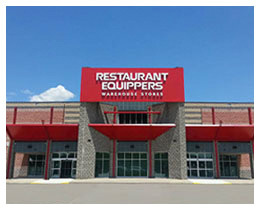 Restaurant Equippers works with a number of top-level providers of financing and leasing solutions. Refrigeration systems have many different designs, but they all follow a basic structure.